Pioneers in the industry, we offer aluminum foil bags, packaging aluminum bags, aluminium foil pouch and premier aluminum foil pouch from India. Aluminum Foil Bags is the most versatile packing material on the market today. No other material can claim to be the lowest cost absolute barrier to light, moisture and oxygen. 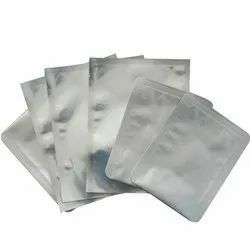 Laminates to plastic film for strength aluminum foil bags provides lighter, less expensive protection to foods, medicines and other products that would be damaged by the environment. We are highly appreciated by our valued clients, owing to its property of not absorbing or combining with the stored content. 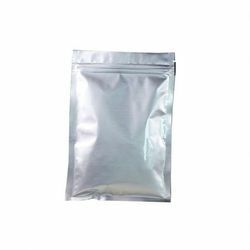 Further, these Packaging Aluminum Bags do not impart any odor to the products that make them ideal for storing different types of material. 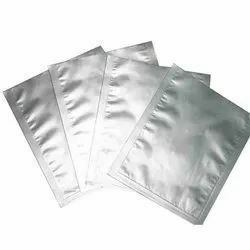 In addition, these Aluminum Foil Bags provide excellent protection against spillage, infestation and spoilage. Aluminum Foil Pouch may be of 3 or 2 layered which is sandwiched with plain poly, aluminum poly, and natural poly. This pouches comes in various sizes. Usage/Application Packing ready to eat, Pharmaceutical Industry, Chemical Powder, Food Products etc. 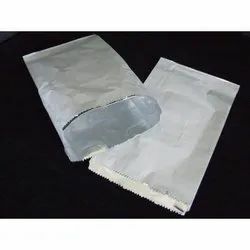 The advantages of both Metal and Plastic film have been incorporated into Premier Aluminum Foil Pouch offering consumers much more versatility in application.